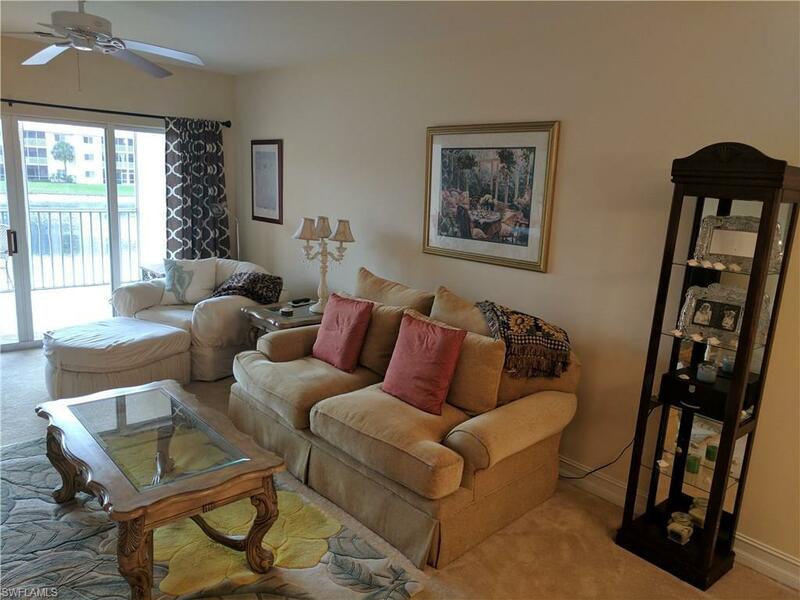 7814 Great Heron Way #203, Naples, FL 34104 (MLS #217028976) :: Clausen Properties, Inc. The Naples Getaway! 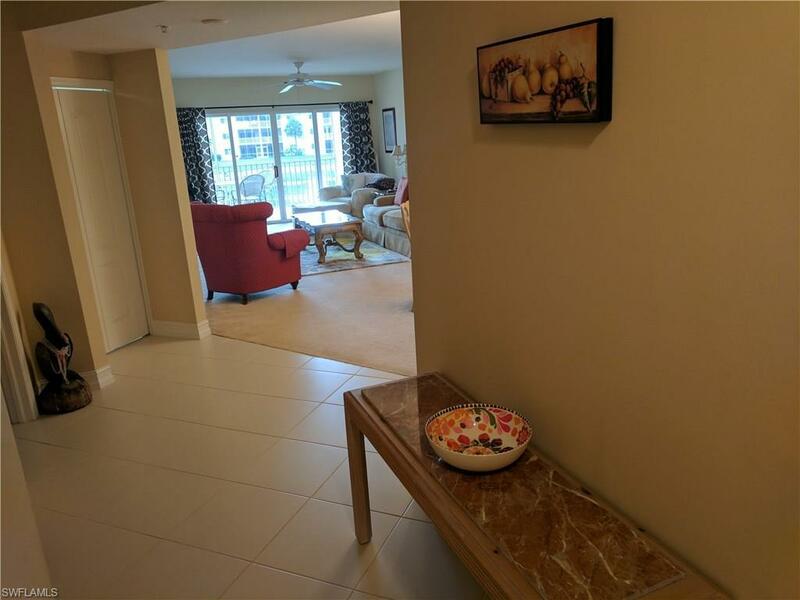 This large, 1304 sq ft condo with amazing view of fountain lake is turnkey furnished providing all necessities including wireless internet and TV service. 5.5 miles from Olde downtown Naples' finest shopping, restaurants, beaches and events, Blue Heron is gated with community room and pool. 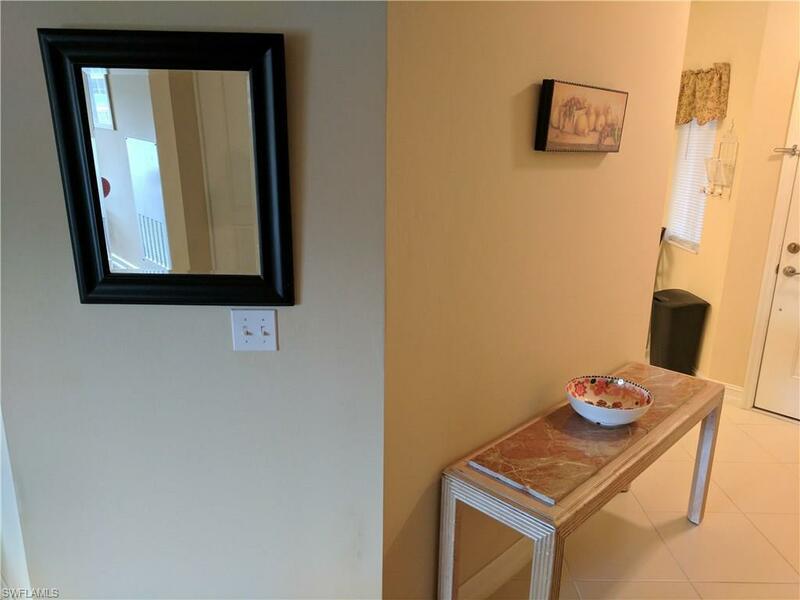 The entry foyer leads to the utility room that has a washer, dryer, vacuum and bicycle. The master bedroom contains a large TV inside the cabinet, and also overlooks the lake. It also has a walk-in closet, his and hers sinks, queen bed and roomy tiled shower. The second bedroom has twin beds. The second bathroom has a shower and bath tub. Comes with covered parking space. The nearby elevator is right across the hall so not much walking is necessary. The kitchen is equipped with refrigerator, freezer, oven, cooktop, microwave, dishwasher and disposal, and also has a breakfast nook, pantry, lots of kitchen cabinets, coffee maker and teapot. The living room has formal dining, as well as flat-screen TV. 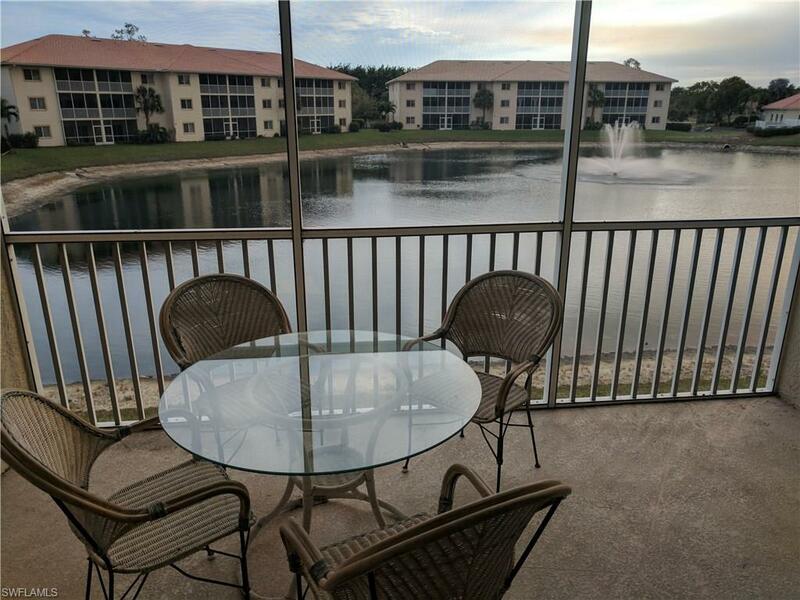 The screened lanai is off the living room overlooking the beautiful lake. You'll be glad you came to NaplesFL! Listing courtesy of Gulf Region Realty.